Cover art by Barry Windsor-Smith. First full Red Sonja story, The Song of Red Sonja, script by Roy Thomas, pencils by Barry Windsor-Smith. 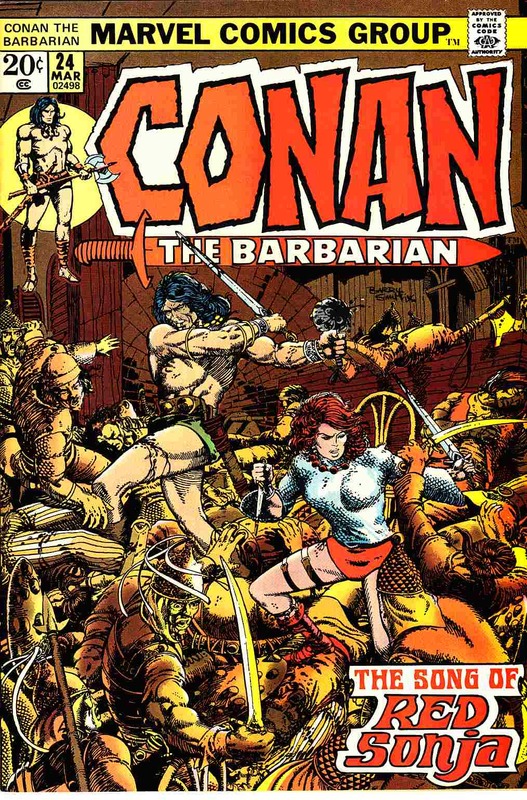 Makkalet; Conan and Red Sonja start a bar-fight, bathe in a fountain, scale temple walls, break in and steal a snake-tiara, and fight a magical snake; at the end Sonja tricks Conan, and leaves for Pah-Disha; the Red Sonja story continues in Savage Sword of Conan 1. Final Windsor-Smith art on this title.